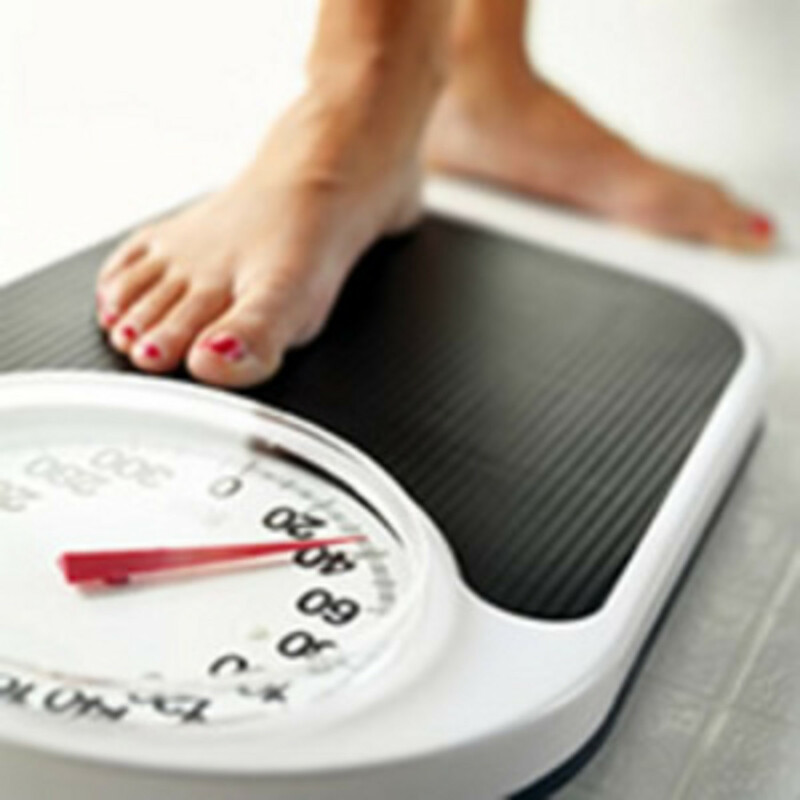 The science behind losing weight has come a long way. It’s less about the amount of calories you consume and more about the nutrient value of the calories. Weight loss can be aided by eating more nutrients and fewer toxins. Regardless of how much you’ve eaten, if your body is starved of nutrients it goes into survival mode and starts to store fat as a defence. A great way to get your body out of this viscous cycle is to start drinking smoothies. They are tasty, nutrient rich and a valuable addition to your diet. 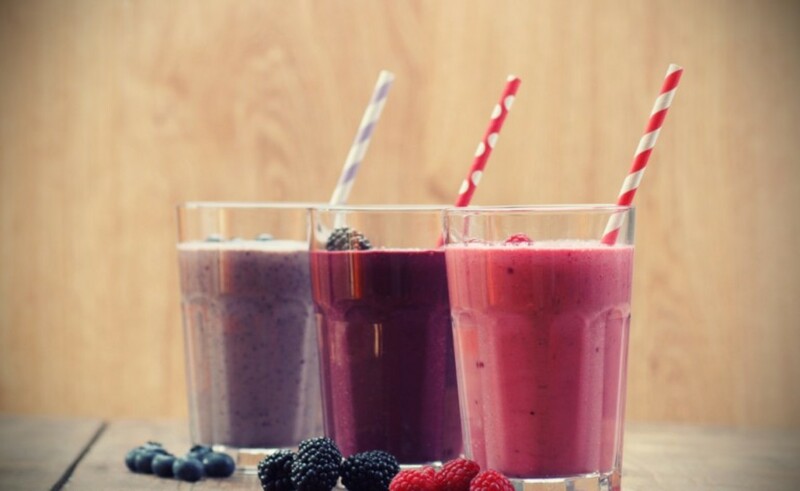 Drinking tasty, healthy smoothies are a great way to start losing weight. 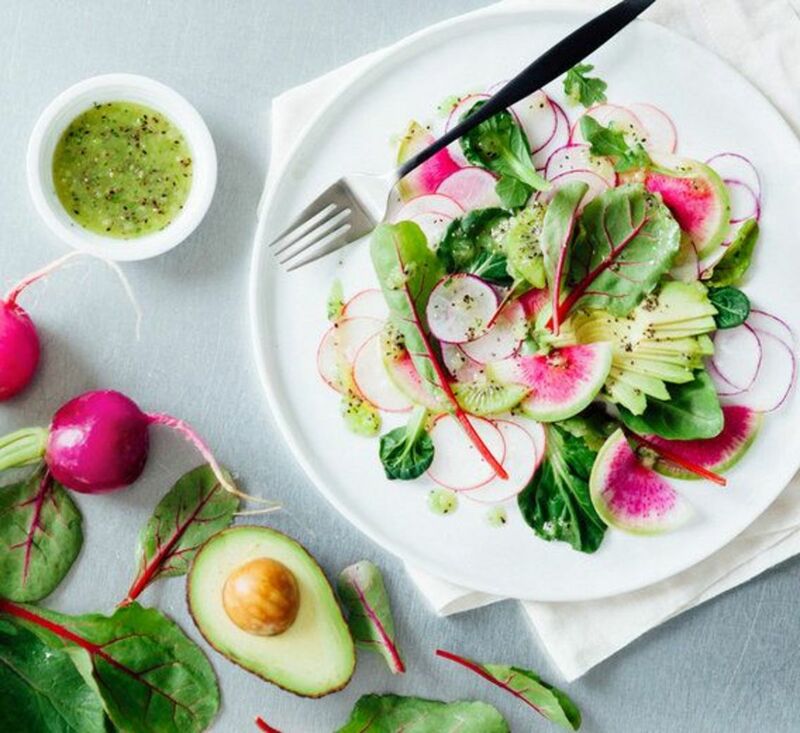 There are loads of recipes available specifically designed to keep you feeling full and satisfied while helping you fight the flab. Not only are these smoothie diet recipes delicious, they are also full of goodness and a great alternative snack for those of us with that uncontrollable sweet tooth. The only thing you need to start making great smoothies is a blender. They are cheap and easy to pick up. It's always best to drink your smoothies when they are fresh, however, if you want to whip up a big batch and store some for later, it can be stored in the fridge for up to 12 hours. If storing, add a squeeze of lemon juice and store your drink in an airtight glass container. The vitamin c in the lemon juice will help prevent the oxidation that breaks the nutrients up. Alternatively, you can pour the smoothie blend into an ice tray and freeze. Store the cubes in freezer baggies and pop out a few when you want to make a smoothie quickly. They can be stored in the freezer for up to a week and saves you having to clean the blender every day! It's also a great way to mix and match your smoothie blends if you feel like a change. 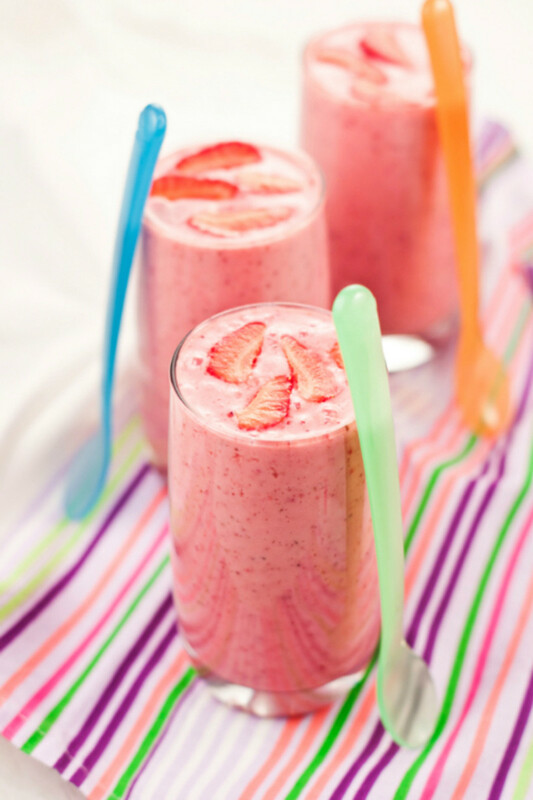 This strawberry banana diet smoothie is low in calories and makes a delicious yet nutritious breakfast. It’s a perfect morning energy boost to help set you up for your day. 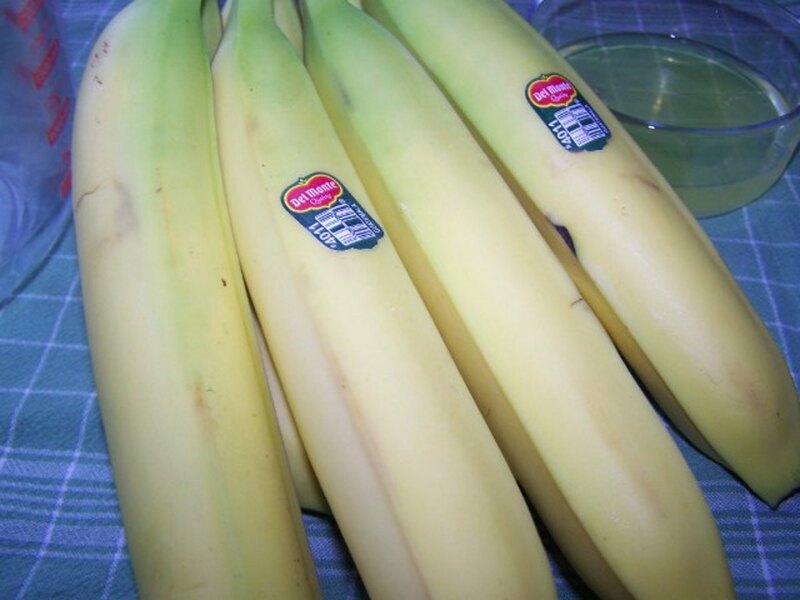 Bananas provide a great source of natural slow releasing energy. Although they have natural sugars present, they also contain a bundle of nutrients and that all important fiber. Fiber helps your body with digestion and can also help lower cholesterol. Bananas are low in fat and are the perfect addition to a low fat diet. This strawberry banana diet Smoothie is also particularly beneficial to those who suffer from type 2 diabetes. Strawberries help control the rise in blood sugar as it slows the rate of digestion of starchy foods. They are great at speeding up the metabolism and suppressing your appetite. Berries are famous for their antioxidants and their weight loss benefits. 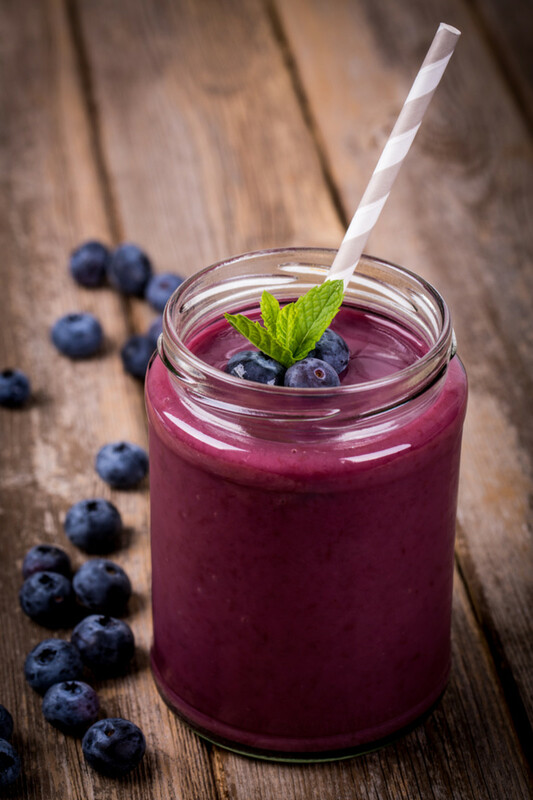 This mixed berry diet smoothie contains four berries that can help you slim down, keep you looking young and provide you with essential fibres that aid digestion. Strawberries are known to reduce blood sugar and stop excess sugar turning into fat cells. Raspberries contain ketones which means they are great for speeding up the metabolism and studies have shown blueberries are great at fighting belly fat. Not only are cherries great for skin and hair, they are also great for your weight. They are the new wonder food that has everybody talking about them. Scientists have been working hard and have discovered some pretty amazing things about cherries. They are abundant in antioxidants that help improve insulin sensitivity by 50%.This is great news for those of use who need to lose weight. 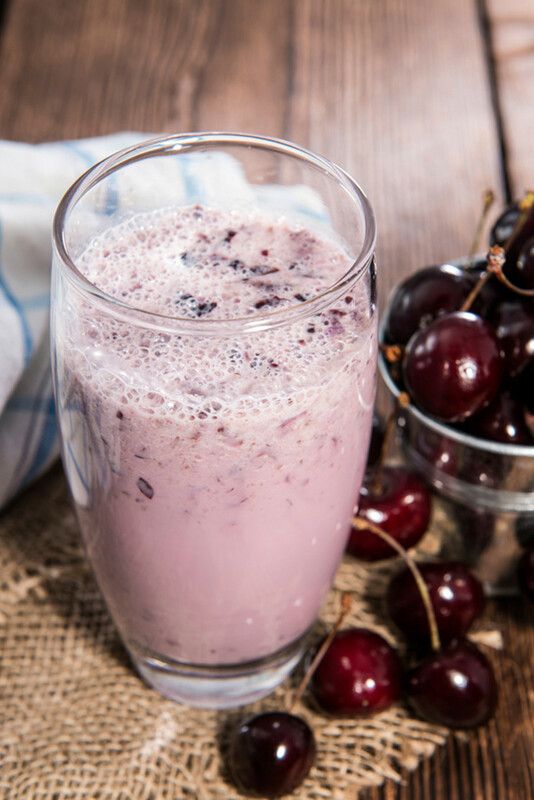 Having a morning smoothie with fresh cherries can set up your metabolism for the day and can help you with your weight loss. Kale is King. It’s full of goodness and a natural weight loss food. Not only is it one of the highest nutrient based greens available, it’s a dieter’s dream food. Kale helps keep you feeling full as it’s full of fiber and is great for detoxing your body. The high amount of vitamin C also means it’s great for boosting the metabolism. Kale is a fabulous addition to smoothies as it contains everything your body needs in one nifty little package and can tastes great when mixing with low fat yet sweet delicious fruit. Beetroot is an amazing vegetable. Although it is a bit of a "love it or hate it" vegetable, they are extremely good for you. Athletes drink beet juice to give them energy as they far more effective than any energy drink could dream to be. 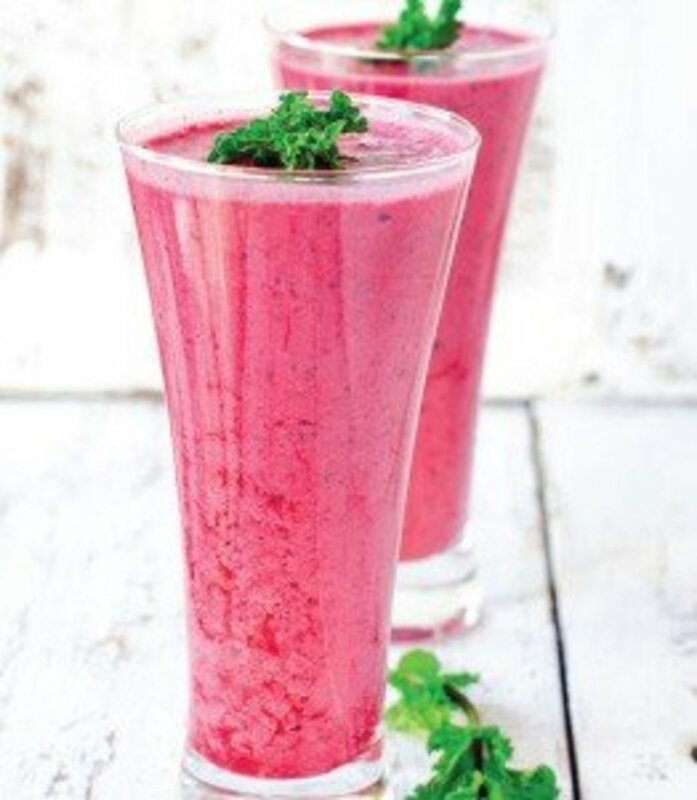 This beetroot and strawberry diet smoothie is great for weight loss as the energy it gives keeps you going all day. Not only that, they are full of fiber and play an important role in fighting cancerous cells.When using beet in your smoothies, it is always best to blend fresh and avoid anything that comes in tins or jars. Peaches are not only tasty and sweet; they are full of nutrients and fiber. 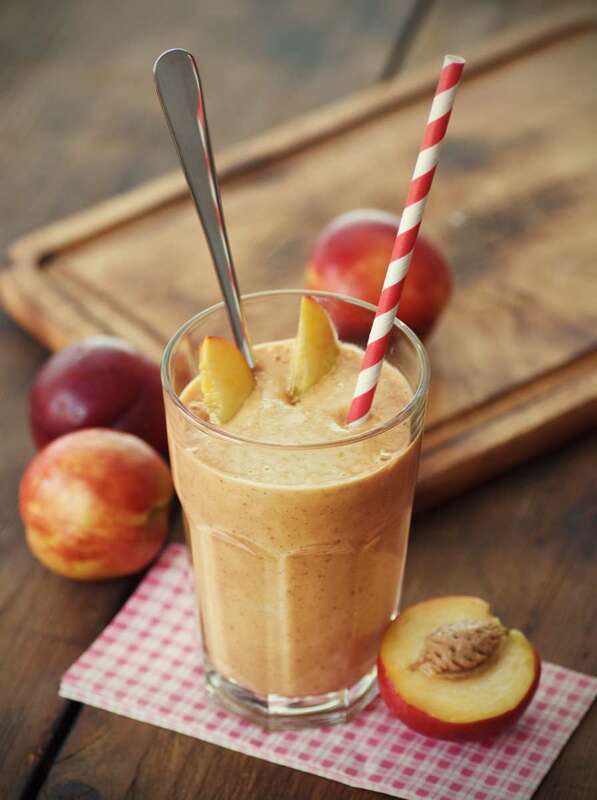 With only 40 calories in a medium sized peach this diet smoothie is perfect for those on a reduced calorie diet. Peaches are available year round and add valuable nutrients to your diet. The fiber present in this delectable fruit encourages digestion and keeps you feeling fuller for longer. The coconut milk helps speed up your metabolism and makes a very tasty addition to the peach when blended into a smoothie. 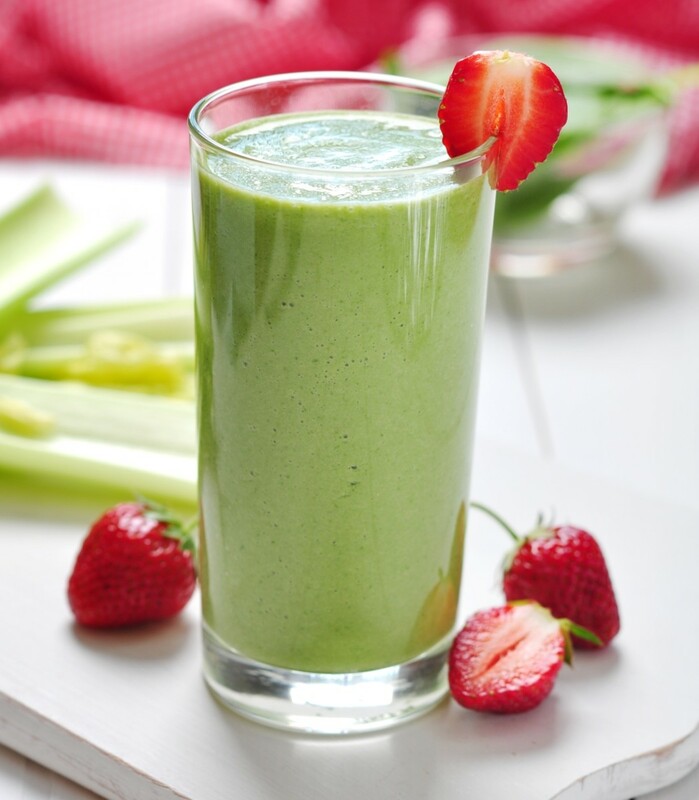 This apple spinach diet smoothie is not only very tasty but also very healthy. 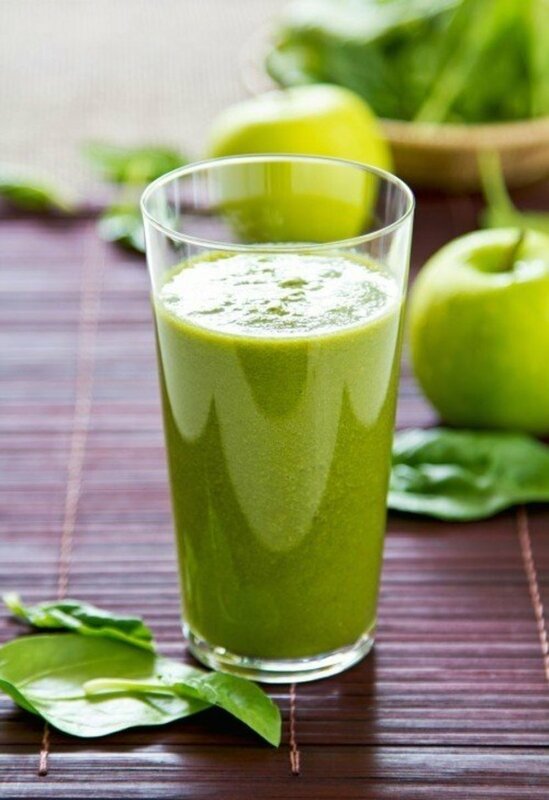 Spinach is a fabulous addition to a smoothie when blended with a sweet green apple. It’s no surprise that spinach is full of nutrients. Your mother wasn’t lying when she told you to eat up because it’s so good for you. Putting fresh baby spinach in a blender is even better than cooked as it doesn’t lose a lot of its nutrients during the cooking process. Spinach is very low in calories and is packed with antioxidants, vitamin c, calcium and potassium. All these smoothie recipes are great for weight loss, energy and keeping you full. When trying to lose weight it is always best to stick to your vegetables, and low GI fruits. They are great way to get your five-a-day and maintain a healthy lifestyle. If you have invested in a juicer here are 7 juicer recipes for weight loss and energy. Morning Banana Diet of Japan For Weight Loss. Ty for the great info in most topics. I save all info to start making smoothies for nutrition and diet issues. They seem simple to do. Recipes look great, but how many glasses/what size glass would each recipe make? As I would only like to make say a 500ml glass at a time. Good recipes. I will put away for later. They all look yummy! I really love to know about this because as my fiancé is complaining me again and again about my fats and weight :p ...... So i can maintain my energy also with the Recipe you mentioned in this hub and also now i can control my wight . I'm really thankful to you for this. I just spotted this hub on the Pinterest popular page, two thumbs up and pinned! I love making smoothies - this hub just added more recipes for me to try! Great information, I'll be sharing and voting up! Thank you for writing this hub as I've been looking for some smoothie recipes and you have quite a few here that I know I'll enjoy.